From business meetings to cocktail parties Aria's private event space, the river room is the ideal location for your next corporate event. 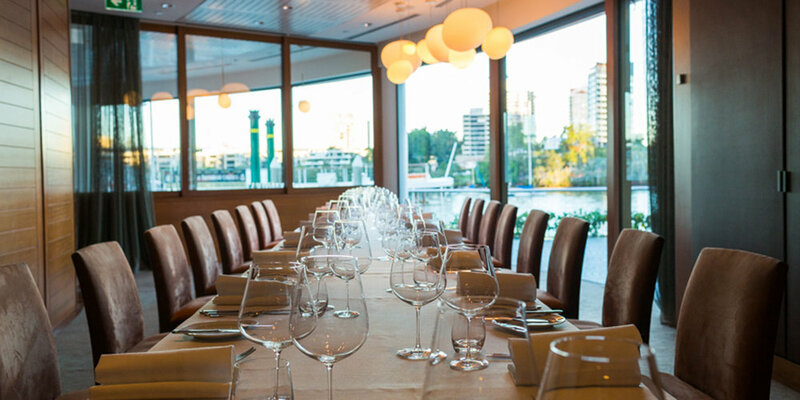 With floor to ceiling windows overlooking the Brisbane River and Story Bridge, your guests are sure to be impressed. Award-winning cuisine made with the finest available produce, an expertly curated wine list, and attentive service all come together to create truly spectacular events. The space also offers AV capability should it be required. Please complete the enquiry form below and one of our event specialists will be in touch shortly or contact us at events.ariabrisbane@solotel.com.au or +61 2 9240 2255.